It's Taco Tuesday in our house and I'm mixing things up by making these Cheesy Taco Rice Bowls. They are so good and so easy! In a large saucepan cook beef until no longer pink. Drain and add in the rest of your ingredients. Simmer for 10 minutes. Spoon into bowls and top with tortilla chips and any other extra ingredients of your choice. Enjoy! 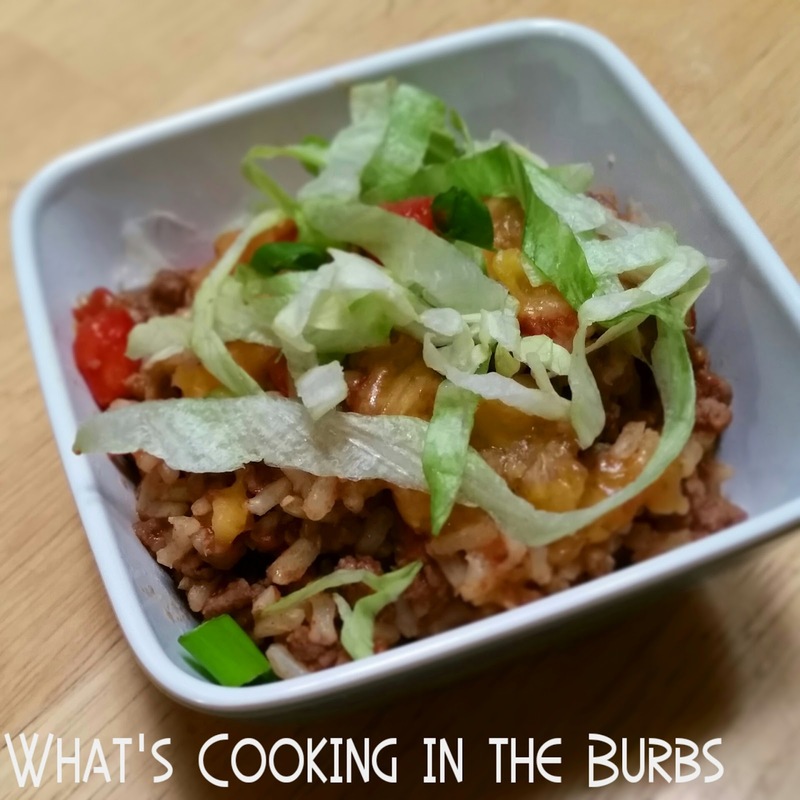 I love a rice bowl and your Cheesy Taco Rice Bowl looks awesome. Thanks so much for sharing with Full Plate Thursday and have a great week.